TODAY`S HUKAMNAMA (ANG SAHIB: 728) ੴ ਸਤਿ ਨਾਮੁ ਕਰਤਾ ਪੁਰਖੁ ਨਿਰਭਉ ਨਿਰਵੈਰੁ ਅਕਾਲ ਮੂਰਤਿ ਅਜੂਨੀ ਸੈਭੰ ਗੁਰ ਪ੍ਰਸਾਦਿ ॥ ੴ सति नामु करता पुरखु निरभउ निरवैरु अकाल मूरति अजूनी सैभं गुर प्रसादि ॥ Ik▫oaŉkār saṯ nām karṯā purakẖ nirbẖa▫o nirvair akāl mūraṯ ajūnī saibẖaŉ gur parsāḏ. ਰਾਗੁ ਸੂਹੀ ਮਹਲਾ ੧ ਚਉਪਦੇ ਘਰੁ ੧ रागु सूही महला १ चउपदे घरु १ Rāg sūhī mėhlā 1 cẖa▫upḏe gẖar 1 ਭਾਂਡਾ ਧੋਇ ਬੈਸਿ ਧੂਪੁ ਦੇਵਹੁ ਤਉ ਦੂਧੈ ਕਉ ਜਾਵਹੁ ॥ भांडा धोइ बैसि धूपु देवहु तउ दूधै कउ जावहु ॥ Bẖāŉdā ḏẖo▫e bais ḏẖūp ḏevhu ṯa▫o ḏūḏẖai ka▫o jāvhu. ਦੂਧੁ ਕਰਮ ਫੁਨਿ ਸੁਰਤਿ ਸਮਾਇਣੁ ਹੋਇ ਨਿਰਾਸ ਜਮਾਵਹੁ ॥੧॥ दूधु करम फुनि सुरति समाइणु होइ निरास जमावहु ॥१॥ Ḏūḏẖ karam fun suraṯ samā▫iṇ ho▫e nirās jamāvahu. ||1|| ਜਪਹੁ ਤ ਏਕੋ ਨਾਮਾ ॥ जपहु त एको नामा ॥ Japahu ṯa eko nāmā. ਅਵਰਿ ਨਿਰਾਫਲ ਕਾਮਾ ॥੧॥ ਰਹਾਉ ॥ अवरि निराफल कामा ॥१॥ रहाउ ॥ Avar nirāfal kāmā. ||1|| rahā▫o. ENGLISH MEANING: There is but One God. True is His Name, creative His personality and immortal His form. He is without fear, sans enmity and self-illumined. By the Guru's grace He is obtained. Raag Soohee, First Mehl, Chau-Padas, First House: Wash the vessel, sit down and anoint it with fragrance; then, go out and get the milk. Add the rennet of clear consciousness to the milk of good deeds, and then, free of desire, let it curdle. ||1|| Chant the Name of the One Lord. All other actions are fruitless. ||1||Pause|| WAHEGURU JI KA KHALSA! WAHEGURU JI KI FATEH! PUNJABI MEANING: ਵਾਹਿਗੁਰੂ ਕੇਵਲ ਇਕ ਹੈ। ਸੱਚਾ ਹੈ ਉਸ ਦਾ ਨਾਮ, ਰਚਣਹਾਰ ਉਸ ਦੀ ਵਿਅਕਤੀ, ਅਤੇ ਅਮਰ ਉਸ ਦਾ ਸਰੂਪ। ਉਹ ਨਿੱਡਰ, ਦੁਸ਼ਮਣੀ-ਰਹਿਤ ਅਤੇ ਸਵੈ-ਪ੍ਰਕਾਸ਼ਵਾਨ ਹੈ। ਗੁਰਾਂ ਦੀ ਦਇਆ ਦੁਆਰਾ ਉਹ ਪਾਇਆ ਜਾਂਦਾ ਹੈ। ਰਾਗ ਸੂਹੀ ਪਾਤਿਸ਼ਾਹੀ ਪਹਿਲੀ ਚਉਪਦੇ। ਬੈਠ ਕੇ ਬਰਤਨ ਨੂੰ ਧੋ ਅਤੇ ਸੁਗੰਧਤ ਕਰ ਤਦ ਤੂੰ ਦੁੱਧ ਲੈਣ ਲਈ ਜਾ। ਸ਼ੁਭ ਅਮਲਾਂ ਦੇ ਦੁਧ ਵਿੱਚ ਸਿਮਰਨ ਦੀ ਜਾਗ ਲਾ ਅਤੇ ਫੇਰ ਨਿਸ਼ਕਾਮ ਹੋ ਇਸ ਨੂੰ ਜਮਣ ਲਈ ਰੱਖ ਦੇ। ਤੂੰ ਇਕ ਨਾਮ ਦਾ ਆਰਾਧਨ ਕਰ। ਨਿਸਫਲ ਹਨ, ਹੋਰ ਸਾਰੇ ਕੰਮ। ਠਹਿਰਾਉ। ਵਾਹਿਗੁਰੂ ਜੀ ਕਾ ਖਾਲਸਾ ! ਵਾਹਿਗੁਰੂ ਜੀ ਕਿ ਫ਼ਤਹਿ ! WHEN YOU DO WHAT YOU CAN, GOD WILL DO WHAT YOU CAN'T. With great pride we announce that we have added yet another milestone in the school’s journey towards excellence as we have been successfully awarded with the prestigious British Council International School Award for 2018-2021. 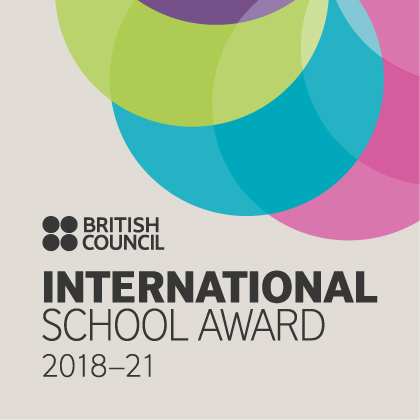 The International School Award is a badge of honour for schools that showcase outstanding work in international education, through links with partner schools overseas and bringing international dimensions into the curriculum. The volume of work and the student- teacher involvement was highly appreciated by the British Council. During the process of accreditation, students explored their creativity and innovation to the fullest. We thank the parent community for their whole hearted co-operation. May we keep striding ahead gloriously with the blessings of Akalpurakh Waheguru. 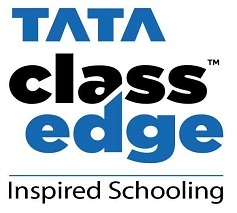 The school is proud to announce 100% class 12th CBSE Results. Highest in Chemistry 100, Eco, Bio & Physical Edu. 99, Computer Science 98, Home Science 97, Physics 96, English, Accounts, B. Studies, Maths 95, IP 93 & Pol. Science 91. All are cordially invited to the Baisakhi Cultural Evening on 21st April 2018 in the school playground at 6:00 pm. CONGRATULATIONS TO SAHIB ANAND OF XII-D ON BRINGING LAURELS TO SCHOOL BY WINNING BRONZE MEDAL IN THE NATIONAL ATHLETIC EVENT HELD AT CHHATISGARH. WE ALSO CONGRATULATE MR.D.KAUSHIK AND MR.VED PRAKASH YADAV UNDER WHOSE GUIDANCE THE STUDENT EXCELLED. Congratulations to Naman Adigaur (IX-B) on winning Gold Medal and Komal Adigaur (IX- D) on winning Silver Medal in the 2nd International Shoto Cup karate championship-2017 organized by shotokan karate-20 International European Federation of India. Both of them aim at Tokyo Olympics 2020. RABAB SINGH SETHI OF X-B HAS BEEN SELECTED IN THE DELHI STATE FOOTBALL TEAM AND WILL BE PLAYING IN THE 52ND JUNIOR NATIONAL FOOTBALL CHAMPIONSHIP AT CHOHAL, HOSHIARPUR (PUNJAB) FROM 3RD -16TH DECEMBER,2017. WE ARE PROUD OF HIM AND WISH HIM SUCCESS !! Inter House Radio Show Competition for classes IX & X is being organized as part of the In-house ISA Activity- RENDEZVOUS- TALES OF UNSUNG HEROES AND HEROINES ON 25TH OCT-2017. October 13, 2017 is being organized in the school as International Day of Disaster Reduction. Students of classes 7th -12th are participating in an essay competition to create awareness about the disaster risk reduction. 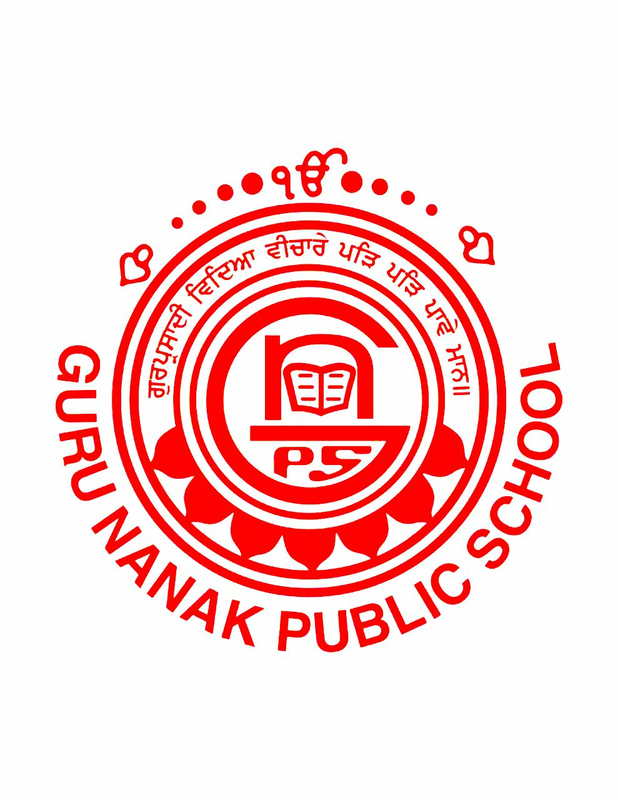 CONGRATULATIONS TO JASKIRAN KAUR, TARANPREET SINGH AND MANMEET SINGH ON BEING PRESENTED THE MERIT CERTIFICATE BY CBSE ON THE BASIS OF OUTSTANDING PERFORMANCE AND OBTAINING GRADE A1 IN ALL THE FIVE SUBJECTS IN THE ALL INDIA SECONDARY SCHOOL EXAMINATION 2017. Congratulations to Naman Adigaur of IX-B on winning Gold Medal in the 2nd International ShotoCup karate championship-2017. Congratulations to Komal Adigaur of IX- D on winning Silver Medal in the 2nd International ShotoCup karate championship-2017. CONGRATULATIONS TO SAHIB ANAND FOR WINNING BRONZE MEDAL IN THE NATIONAL ATHLETIC EVENT -2017.